Cinemek - Tools for film makers. 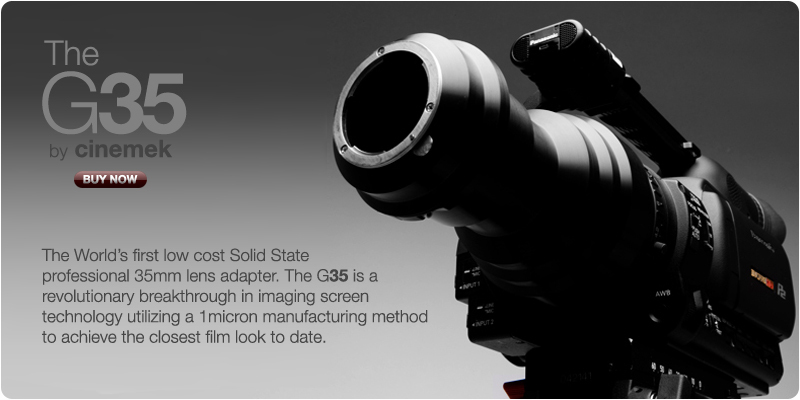 The Cinemek G35 is a step forward in Lens adapter technology. It utilizes a focusing screen with a focusing structure so fine it cannot be resolved by an HD imaging sensor. This allows for a extremely durable next generation lens adapter. No need to turn it on or worry about it breaking down as it is completely sealed and hassle free. find out more about the G35 and how it can change the way you shoot.